Deakin tells us why AnCo might be considered a “gateway” band. 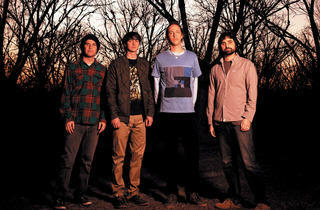 You’ve described Animal Collective as a “gateway band.” Can you elaborate on that? Basically, people that get into our music, maybe somebody shared a record of ours with them, they kind of got into a few songs and that led to them checking out bands they had never heard of before, and that sort of just opened up a whole new world of music. I get really excited to be able to do that for other people. A lot of people that we listen to I think we came across in similar ways. 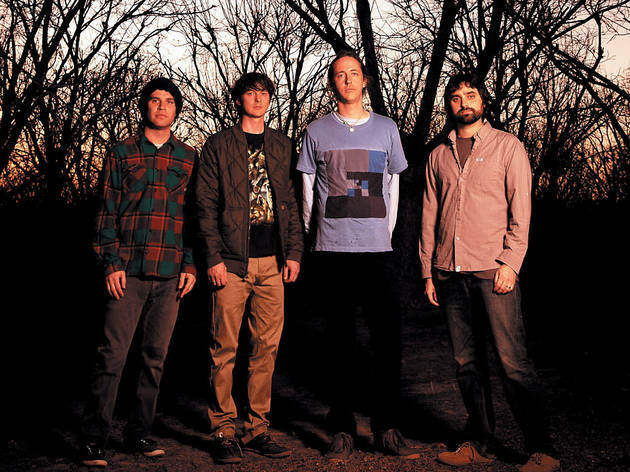 It seems like Pavement was a big gateway band for Animal Collective—your bandmates have cited the group as a big influence. Yeah Pavement was huge, especially for Dave [Portner, a.k.a. Avey Tare] and Brian [Weitz, a.k.a. Geologist]. Pavement was one of the first bands they turned me on to that felt like it was sort of a new world. It’s really awesome to realize that’s a similar role we provide for other people who might get into us by listening to one of the more accessible songs on Sung Tongs or Feels or Merriweather and through that end up listening to Pavement or Can or [Iannis] Xenakis—wherever it ends up taking you, that’s what makes music exciting. You cite dreams as source material. Is that more of a feeling you’re trying to capture? I just have a really big appreciation for—and I mean this in a non-druggy way although that’s part of it—psychedelic experiences in any form, and I think in our perceptive abilities, if you really explore that and explore how fluid and how ever changing it is, there’s a lot more information in there than it seems on the surface. Dreams are obviously a really great way to tap into that if you’re paying attention to them. Going to an Animal Collective show or listening to a record, there’s a surreal quality to it. Definitely, and I think that’s a big part of what we all appreciate about sound and recording and making music, even if we’re focused on a straightforward structure. There’s an appreciation for blurred edges of sound and meaning, or obviously visual stuff live and video stuff, that leaves a space that’s open for the person on the receiving end to really personalize it where it becomes their own. I love listening to music or watching movies or reading books where two people can have completely different experiences. There’s a big visual component to the live show. Is that conceived while you’re writing new songs or after the fact? It’s changed over the years. The degree to which it’s grown has really just been the degree to which we’ve been able to support the idea of doing larger-scale visual things. Even going back to the first shows we ever played, wearing masks and stuff, I think we always had this sense of there being a benefit to being aware of what the visual presentation of the music was. This record visually we owe to Dave and his sister. We slowly built this relationship with her where we are able to give her ideas but we also gave her a lot of free rein to come up with stuff. We were really psyched to be involved in the process and make a stage show that does all those things that you were talking about initially, creating that psychedelic atmosphere.